Halloween Zombie Outbreak Is Back For Its Second Year! Red alert! The Zombie Apocalypse is coming and it’s up to you to save yourself and the world! Escape Experience Chattanooga’s Zombie Outbreak event returns for another year with more fun, more zombies, and more chances to escape. Join us after 6:00 PM October 20-22 and 27-31, and experience our Vaccine: Search for the Cure and The Bunker escape rooms like no one has ever experienced them before. * While working together to find clues, solve puzzles, and escape, you and your group must also fend off zombie attacks and save the world from a global outbreak. With the use of live zombie actors and our top-rated escape rooms and puzzles, this is a limited time experience you do not want to miss! *Note: If you have previously played Vaccine or The Bunker, no major changes to escape room puzzles and content have been made beyond the addition of zombie actors. You may book your experience online here (link or book now button). 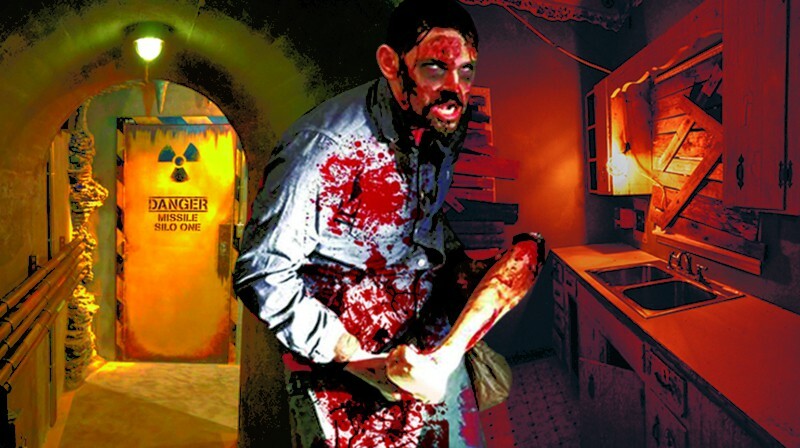 Make sure to choose Zombie Outbreak: Vaccine or Zombie Outbreak: The Bunker when booking to ensure you will experience the addition of live actors. Do you offer refunds if I change my mind? We do not offer refunds. Space is limited, so please be sure before you book. However, we will do our best to accommodate any changes to your booking reservation. Our escape rooms are designed for people ages 12 and up. However, you know your child best and may determine if this might be appropriate and fun for him or her. Note that there are no special prices for children and no refunds are offered if they choose to not complete the room. As part of this special Halloween time event, we have added live actors to supplement our escape rooms and their already exciting experiences. The majority of your time will be spent focusing on solving puzzles and finding the path to escape. However, you may encounter some zombies along the way which you will need to stun/kill in order to move forward on your mission to save the world. Is this similar to a haunted house? 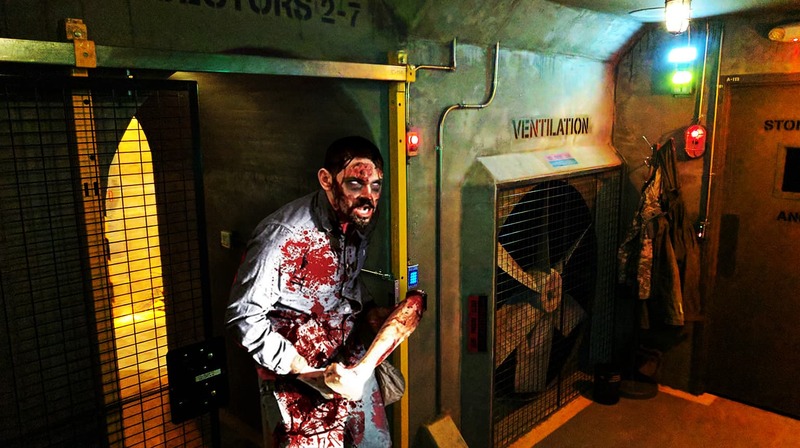 While we are adding actors to portray zombies in these rooms, the primary focus is still on the escape game with the goal of finding clues and solving puzzles to escape and save the world before time runs out. Now though, you’ll have to avoid zombies on your path to escaping too. Are the zombies allowed to touch me? Only if you let them! As part of your experience, you will have the ability to stun/kill the zombies in order to move through the room efficiently. If you fail to do so, the actors may get very close, but they will not intentionally touch you. Can I touch the zombies? If they can’t touch you, you can’t touch them. Everyone is here to have fun, including our zombies. Failure to respect the actors and their safety could result in removal from the room without a refund. Will it be dark in there? Both The Bunker and Vaccine will occur partially in the dark as part of their game environment. However, we provide additional light sources for safety and when needed in order to escape the room or solve a puzzle. We suggest wearing comfortable, easily washable clothing. While our actors will not intentionally touch you, there is a chance that you may come into contact with fake blood, guts, etc. which has the potential to stain your skin and/or clothing. 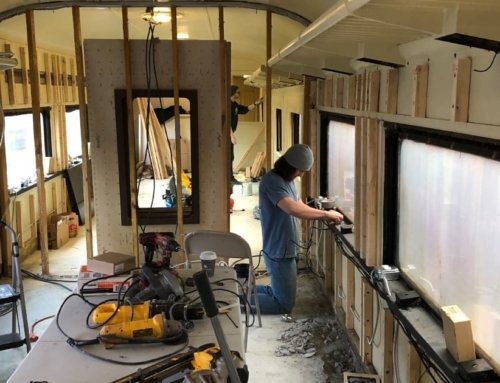 Escape Experience Chattanooga is not responsible for any damage to personal belongings that occurs while on the premises whether by fault of the owner, manager, staff, actors, or guests. For answers to non-zombie related questions, please see our Frequently Asked Questions page.